Since we launched our film on DVD in December 2012 we’ve been steadily distributing copies across the world, plus stocking and restocking stores in the UK. In a highly competitive film world, where every indie has to fight harder for recognition, it’s kinda miraculous our film has enjoyed such a long life. This month we’ve sent DVDs to Germany, the USA, and Glasgow! We’re thrilled and honoured that our Edinburgh love story is still reaching audiences, and that feedback continues to be wonderful. Launched yesterday, this newly-created website is an online forum to showcase our films THE INHERITANCE and THE SPACE BETWEEN. Check it out for details of the company, its films, DVDs for purchase, latest events, plus news of future projects. Hope you’re having a great Summer!! Thought I should write a little about what’s been happening to the film since we released it on DVD. When launched in December 2012, customers immediately snapped up copies. Our December was spent mailing orders across the globe, as well as sending stock to stores and outlets such as Fopp, the Filmhouse, Blackwells, Avalanche Records, Monorail, Coda Music, Love Music, and Angus Gordon hair salon which continues to sell DVDs to its lovely clients. Great feedback came in praising the artwork (courtesy of the multi-talented Angela Milton) and the style of the film on this format. Our friends at re:fine once again had done an amazing job. Since 2012 we’ve continued to sell DVDs. Scotland has provided the most customers, which, considering we’ve screened here 49 times (out of 57), is greatly rewarding. But we have also posted DVDs to Australia, New Zealand, the USA, Canada, France, Italy, Austria, Germany, Ireland, Mexico, Switzerland and the Netherlands. Wonderful feedback keeps coming in. We delighted, honoured, chuffed to bits our Edinburgh love story has screened to a world-wide audience and continues to reach new people. An inspiring interview with Vivien Reid features in the latest newsletter from her old school Edinburgh Academy, where our film screened on 13 June 2011. Vivien Reid is the stage name of Nicola Johnston. Check out pages 19-20 for her fascinating interview. Last night we visited the Royal Observatory Edinburgh, scene of filming, to meet a spaceman. Canadian astronaut Commander Chris Hadfield spent 5 months on the International Space Station, landing back on Earth in May 2013. At ROE he spoke to staff and family, answering questions on his experiences of space flight, shuttle missions, space-walks, and making music videos in space. A great privilege and pleasure to meet such an inspiring, engaging man. No doubt Steven and Lisa would approve. Last Tuesday THE SPACE BETWEEN screened at Century Club in London. The screening was presented by Vivien Reid, who took part in the Q & A, along with editor Anthony Bueno. Here she gives her thoughts on the event. It was an absolute pleasure to be invited to screen THE SPACE BETWEEN with the members of The Century Club, in Shaftesbury Avenue London last week. We were invited to launch a new exciting film event, which focuses purely on the art of Independent filmmaking. The aim of the evening is to give filmmakers a platform to introduce their independent film to a new audience, and engage in conversation afterwards in a Q&A. It also gives the audience a chance to discover films the might never have heard off. This wonderful collaboration is between Nigel Stowe, General Manager of the club, and Rebekah Smith who runs the company The Film Festival Doctor. The evening was a huge success for all involved, and yet again our film ignited huge discussion afterwards. People were full of praise and so intrigued by our story. It was a pleasure to again share THE SPACE BETWEEN with audiences in London and spread the importance of Independent filmmaking. Thanks to Vivien, Anthony, Gillian, William, Claire and all who attended. Details of further screenings and events will be posted here soon. 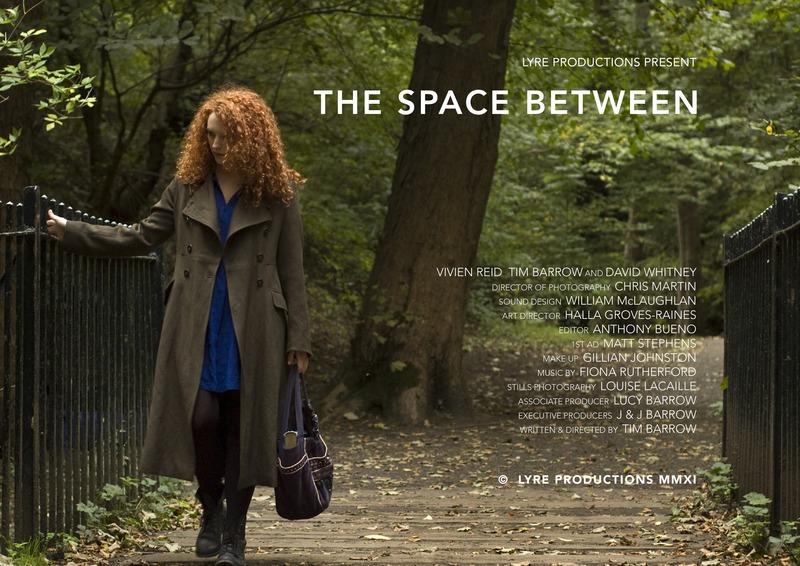 We are honoured to announce THE SPACE BETWEEN will screen at the Century Club as part of the new ‘Discovery Screen’ collaboration with Rebekah Smith (Film Festival Doctor). The screening will take place on Tuesday 15 October. 7:30pm for an 8pm start. A post-screening Q & A will feature the film’s leading actor Vivien Reid, as well as editor Anthony Bueno. This marks our film’s 3rd London screening and we’re delighted to once again be showing London audiences our Edinburgh love story. Many thanks to Century Club, Vivien Reid, Rebekah Smith and Nigel Stowe for making this wonderful event possible. After a terrific screening at the beautiful Birks cinema in Aberfeldy, with a wonderful audience Q & A, I thought it’d be good to list some of the fantastic publicity we’ve received during our film tour. The film keeps on trucking! Delighted to announce that the beautiful, newly restored Birks Cinema in Aberfeldy will screen THE SPACE BETWEEN on Tuesday 11 June at 6pm. Q & A afterwards with Writer / Director Tim Barrow. As THE SPACE BETWEEN reaches the end of its tour – after 57 screenings, followed by audience Q & A’s, followed by fantastic conversations full of praise for our film – it makes sense to document how we achieved what so few independent films achieve – a theatrical release. Firstly, we kept control of our work. Filmmakers know best. They put their heart, skills, savings and soul into their projects, and there are no better guardians. And secondly, we set no timescale. This film needed to find audiences, so we went to find them. 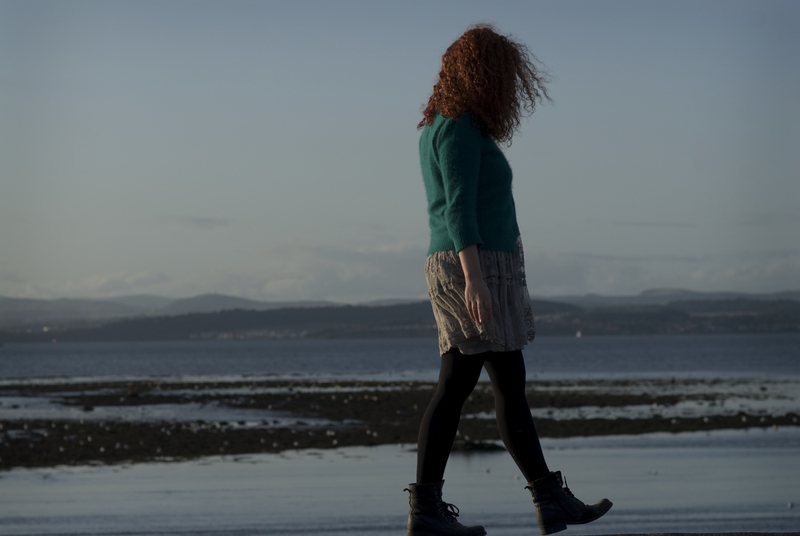 We built our contacts through our debut film – award-winning Scottish road movie THE INHERITANCE – and these we worked with to distribute our follow-up film. We premiered at (and sold out) Edinburgh’s Filmhouse – our spiritual home – and then screened throughout the city in art galleries, cafes, community centres, theatres, universities and both the city’s observatories. The reception was amazing and put our indie film on the map. We then blitzed cinemas in Scotland – deciding to distribute the film to our homeland and build up a following. Cinema programmers were intrigued and gave us slots to show the film. We contacted local press and film / theatre / arts societies, inviting them along. We received a decent box office share from every screening. I personally hosted each screening and took part in the audience Q & A afterwards. Audiences came and the conversation flowed. And people offered their opinions and praise. And we discovered that THE SPACE BETWEEN chimed with audiences of all ages, backgrounds, ethnicities, tastes. We contacted more cinemas. We contacted film societies throughout the UK. They’re interested in indigenous film-making and gave us slots. They have good venues, good projectors & sound systems, and big community audiences who love film. We were invited to Berlin to screen at Korsobad – a fantastic arts venue which the British Council supported us to attend. The film was invited to Shetland Film Festival, curated by Mark Kermode. We were invited to screen at Oxford University, in Magdalen College. We premiered in London at the beautiful Genius cinema in Whitechapel, and then returned after we sold it out. After 2 years, 55 screenings, countless pieces of heart-felt praise, we released the film on DVD. All sales are valuable – recouping the budget and going into the pot for making future work. We are not alone in making self-distribution work – film-makers all over the world are discovering new ways to find audiences. With energy, belief and hard, hard work, film-makers can distribute their films in cinemas, where their work looks most at home. A revolution is happening in film, and indie film-makers have never before had more possibilities to show their work. The future looks incredibly exciting. For a full list of screenings or to purchase the DVD, see our pages above.